Because I am a Lady Julia Grey addict, I am obligated to report that the cover of Deanna Raybourn's upcoming novella has been released and it is a Lady Julia Grey Christmas novella! Christmas novellas and I do not have a long history together. But as I recently made the acquaintance of one I quite liked, I'm thinking we could have a future together, Christmas novellas and I. 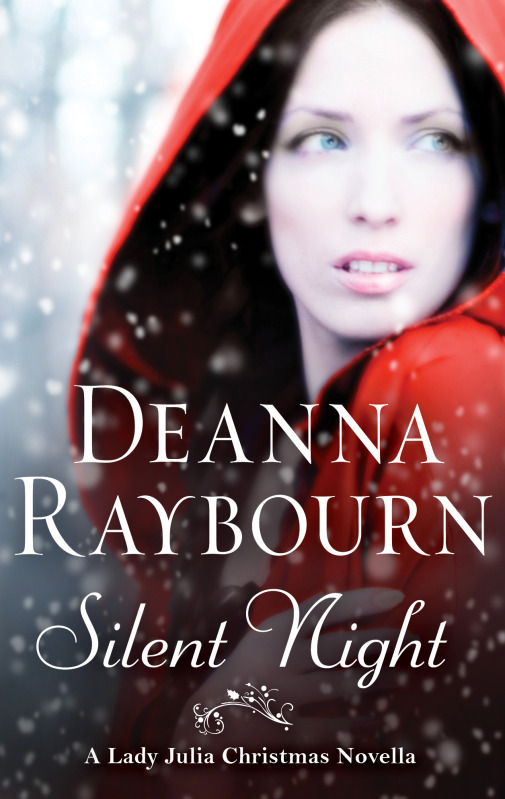 And so I plan on pursuing the relationship with renewed determination come November 1st when Silent Night (love the title) is released. Julia, Brisbane, a return to Bellmont Abbey, the crazy Marches, a prowling ghost?! Who could ask for a better way to kick off the holidays? Oh oh oh, I have the previous four books and I STILL HAVEN'T READ THEM!! I need to get onto a serious Lady Julia Grey reading marathon me thinks. Everyone I know loves these books. Shannon. WOMAN. You can't just hit me with something like that and then click away! You own the first four books?! For the love of all that is holy, pick up SILENT IN THE GRAVE now. Oh, I'm so disappointed it's an e-book! I miss Nicholas and Julia so much. Sigh. I know. I really want to hold it in my hands. Love, love, love the title and the cover! Thanks for sharing. November 1 is not too far away. Isn't the cover great? So pretty . . .
ohhhh.. happy shivers are happening over here. Can't wait to read this one! And the next book even though it isn't Brisbane and Deanna Raybourn's shopping list when she publishes it! I know! It sounds really intriguing. I love her settings.